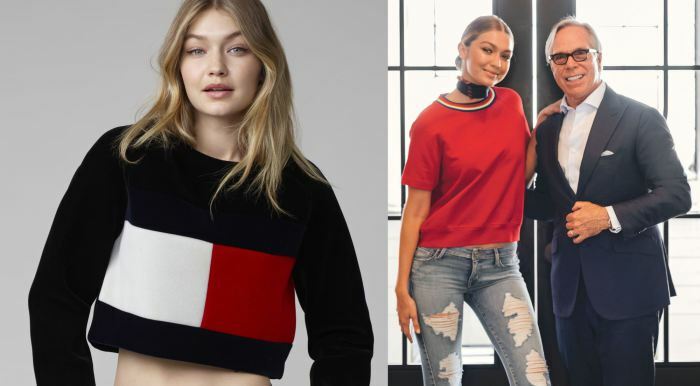 As a part of the new vision for ‘Tommy Hilfiger’ women’s, supermodel and social media star Gigi Hadid will launch her first ever capsule collection – including apparel, footwear, accessories – and fragrance in collaboration with the designer. Tommy Hilfiger, which is owned by PVH Corp. [NYSE: PVH], announces that internationally renowned supermodel Gigi Hadid will appear as the brand ambassador for Tommy Hilfiger women’s beginning Fall 2016, building on the new vision and strategic expansion of the brand’s global women’s business. As part of her exclusive ambassadorship, Hadid has partnered with Tommy Hilfiger to launch her first capsule collection, created in collaboration with the iconic American designer. Launching in Fall 2016, the capsule will feature women’s sportswear, footwear and accessories, including watches and sunglasses, as well as a new fragrance, which celebrate Hadid’s unique take on modern style, fused with Hilfiger’s signature “classic American cool” heritage. The collection and fragrance campaigns will be photographed in early 2016 in New York City, and will break globally in Fall 2016 with dedicated print, online and out-of-home media placements worldwide. Hadid’s campaign will run alongside the brand’s seasonal advertising and dedicated men’s tailored and underwear campaign with brand ambassador Rafael Nadal. To further support the global partnership, Hadid will attend exclusive launch events in key markets around the world, including appearing in the brand’s Hilfiger Collection fashion show during New York Fashion Week. The Fall ’16 Hilfiger Collection and Tommy Hilfiger sportswear collections, including Hadid’s capsule and fragrance, will be available at Tommy Hilfiger stores globally, through select wholesale partners and online at tommy.com. Friends and followers of the brand are invited to join the conversation on social media using #TOMMYXGIGI and the handles @TommyHilfiger and @GigiHadid. With a brand portfolio that includes Tommy Hilfiger and Hilfiger Denim, Tommy Hilfiger is one of the world’s most recognized premium designer lifestyle groups. Its focus is designing and marketing high-quality men’s tailored clothing and sportswear, women’s collection apparel and sportswear, kidswear, denim collections, underwear (including robes, sleepwear and loungewear), footwear and accessories. Through select licensees, Tommy Hilfiger offers complementary lifestyle products such as eyewear, watches, fragrance, athletic apparel (golf and swim), socks, small leather goods, home goods and luggage. The Hilfiger Denim product line consists of jeanswear and footwear for men and women, accessories, and fragrance. Merchandise under the Tommy Hilfiger and Hilfiger Denim brands is available to consumers worldwide through an extensive network of Tommy Hilfiger and Hilfiger Denim retail stores, leading specialty and department stores, select online retailers, and attommy.com. PVH Corp., one of the world’s largest apparel companies, owns and markets the iconic Calvin Klein and Tommy Hilfiger brands worldwide. It is the world’s largest shirt and neckwear company and markets a variety of goods under its own brands, Van Heusen, Calvin Klein, Tommy Hilfiger, IZOD,ARROW, Warner’s and Olga, and its licensed brands, including Speedo, Geoffrey Beene, Kenneth Cole New York, Kenneth Cole Reaction, MICHAEL Michael Kors, Sean John, Chaps, and Ike Behar.